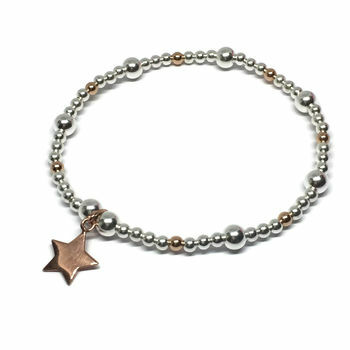 What better way to shine this Christmas than with this beautiful rose gold star charm bracelet! 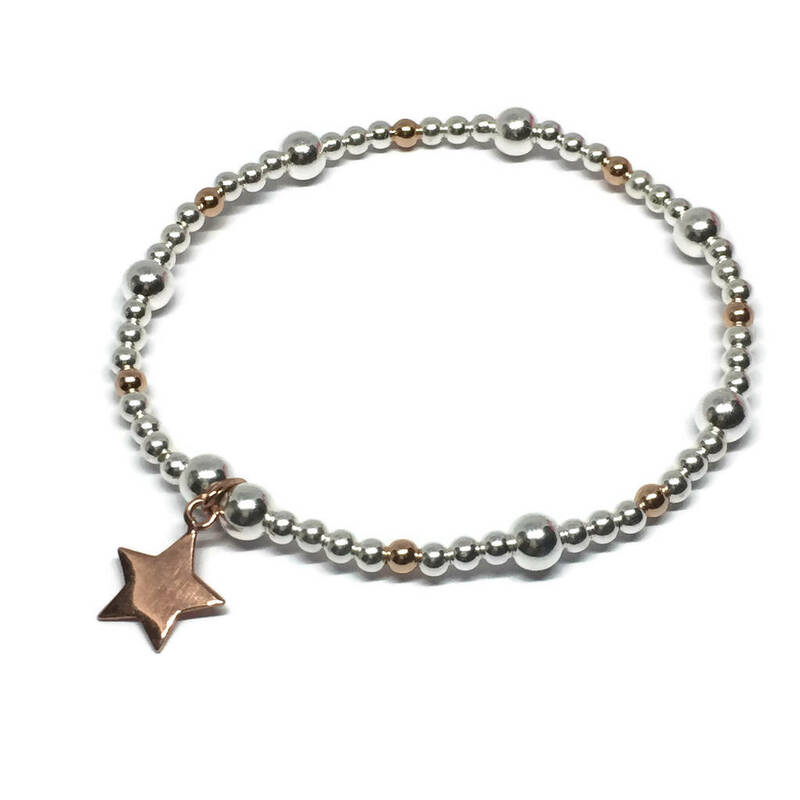 The bracelet is elasticated for a comfortable fit and comes in a variety of sizes. 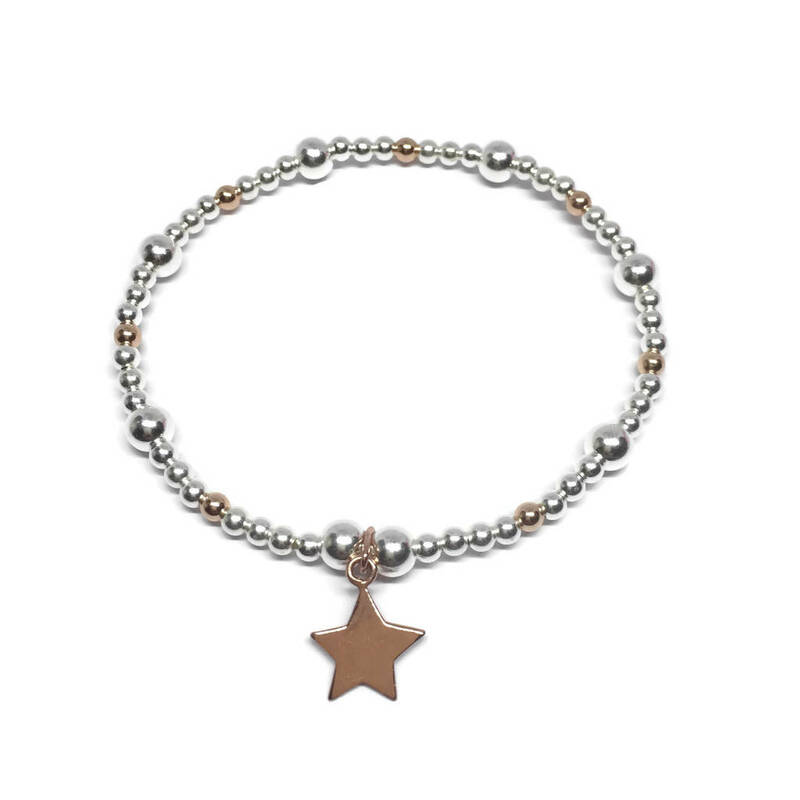 This looks fabulous stacked with our other bracelets but is equally beautiful on it's own. FREE First Class Recorded UK POSTAGE! 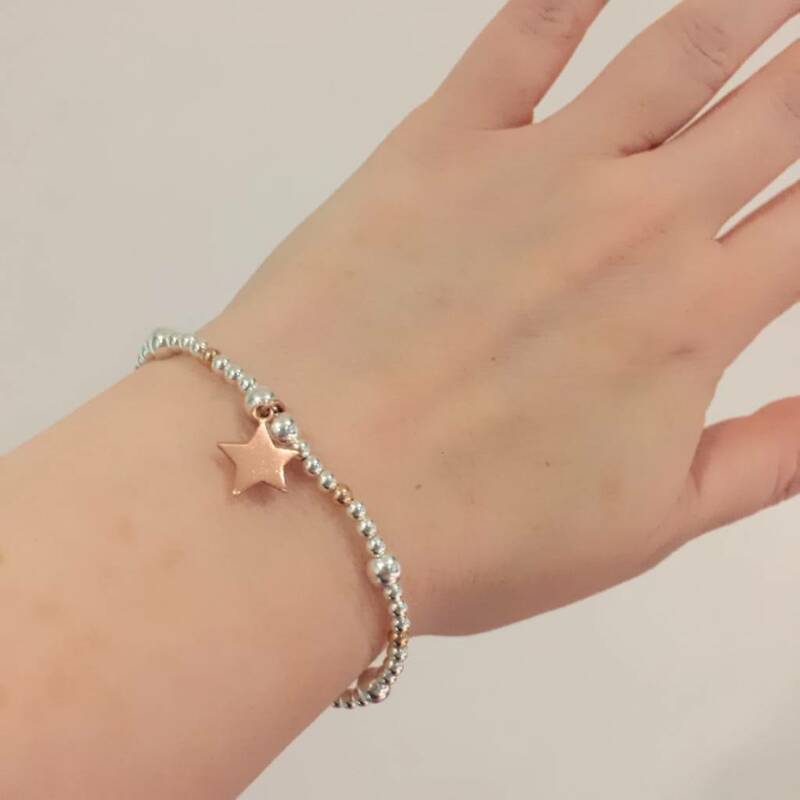 Your parcel will include one rose gold star charm bracelet as shown in the photo, placed inside a velvet gift bag along with instructions on how to keep your Sterling Silver jewellery piece looking fabulous. 17.5cm - Standard Size - This is the most popular size for adults. 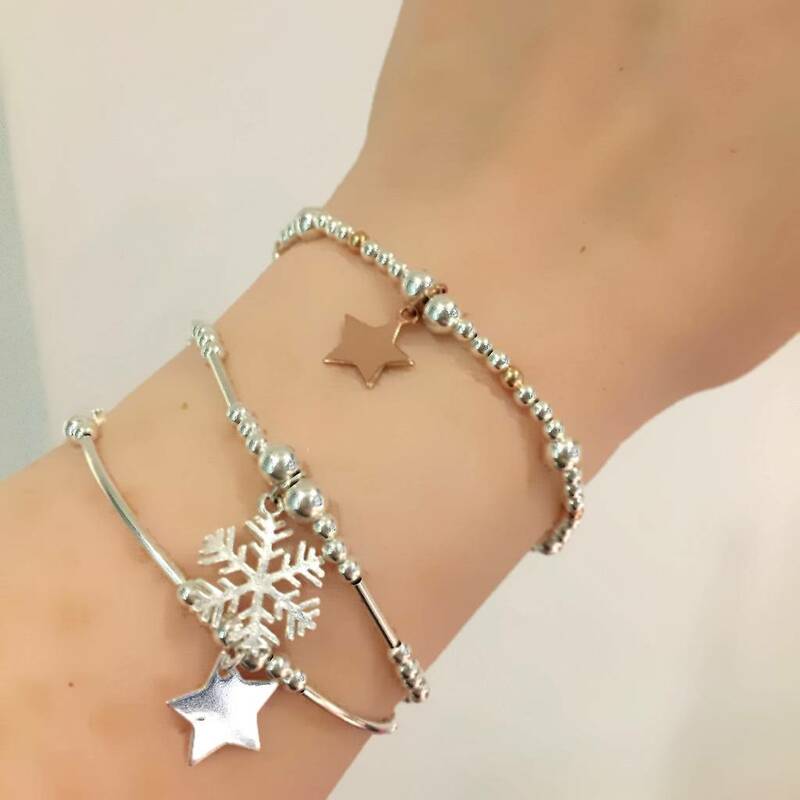 Bracelet length: Various lengths are available. Please choose from the dropdpwn menu. The beads are threaded by hand onto superior elasticated jewellery cord.